“Saturday Night Live” star Kenan Thompson is going back to his “All That” roots for his next project, “SKOOGLE,” the first major original series from new kids media brand pocket.watch — and he’s getting some of the old gang back together. Thompson has rejoined forces with Albie Hecht, pocket.watch’s Chief Content Officer and the former president of Nickelodeon Entertainment, for a live-action kid-oriented sketch comedy show that celebrates the entrepreneurial spirit of a generation that creates mobile apps before they get their driver’s licenses — and pokes some good, clean fun at the tech industry. Thompson, who created and executive produced the show, stars as the voice of SKOOGLE, a digital assistant that Hecht describes as “[Amazon’s] Alexa for kids,” which helps kids with some of their everyday problems. Hecht was the development exec behind ’90s sketch show “All That,” which became a seminal part of Nickelodeon’s Saturday night lineup and launched the careers of Thompson, Kel Mitchell and Amanda Bynes, among others. 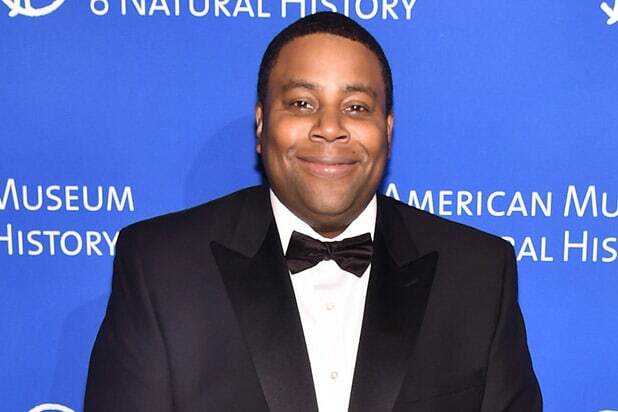 Thompson and Mitchell’s “Good Burger” sketch led to a spinoff, “Kenan and Kel,” and a “Good Burger” movie. Fellow “All That” alum Josh Server is a co-producer along with “SlamBall’s” Mason Gordon. Hecht told TheWrap that pocket.watch, which launched this March, is aiming to be the kind of entertainment brand for today’s age 2-11 demographic that has largely moved away from traditional linear television in favor of outlets like YouTube. He added that sketch comedy was a natural fit for the kind of content pocket.watch wanted to introduce itself with. And with Thompson in the fold, there was almost no one better to build a sketch show around. He is tied with Darrell Hammond for the longest-tenured cast member in the history of “SNL,” and especially shines during spontaneous reaction moments during the show’s skits. “He’s really the platinum standard for sketch comedy,” Hecht said. “SKOOGLE” is currently in production and pocket.watch is in talks with distributors, but nothing is set yet. Thompson is represented by UTA, Del, Shaw, Moonves, Tanaka, Finkelstein & Lezcano, and Michael Goldman. Hecht said pocket.watch is nearly six months ahead of schedule in programming its slate, and the company is looking at both live action and animated shows to fill out its offerings. But he’s more than thrilled to reunite with an old friend to make “SKOOGLE” its first show.